There exists an Order in the known Realms, one who seeks to teach and govern magical affairs. They take in students to train, seek new knowledge, and preform magical duties for the kingdom. This can range from consultation and support, to combat with the military they are aligned with. The different Realms each have a base of operations for the Order, a Tower that serves as their headquarters, training academy, and meeting ground in times of peace and crisis. These Towers are usually shielded by powerful magic. For example, in Felnova, the Tower called Godshome is concealed and protected by being at the heart of a massive tornado, hidden behind mountains too tall to fly over. Each Tower is overseen by an Archmage, or another spell-caster with a similar level of power and experience. Most of the Order Towers are hidden, though their locations have been recorded by the Order. It is thought that most Realms have one, if not two, Towers, populated by the Order. Tower of Evylon:: located in the Empire of Halgia. Tower of Felnova:: located in Vystriana. Tower of Kurai:: located in Kidochi. Tower of Lizzarkyth:: located in Naktuk Talosh. Tower of Millirand:: located in Sud'rlund. Tower of Noctis:: located in Cariryiiw. Tower of Ristell:: located in Arcadia. Tower of Xaeri:: located in Ereinlen. All casters wear an armband with gems on it to signify their rank in the order. While the design, size, and prominence of the band are up to the individual caster, they all must wear them to signify that they belong to the Order. The gem itself can be replaced with a more valuable variant if the mage can afford it, such as replacing a regular Quartz gem with a Tiger Eye Quartz. Each stone is engraved one of the kv'naer runes. Below, you will find information on our magic user ranks; hover over the stones for more information on them. The most powerful of the Order. Very rare, and possessing of near-godlike skill. Generally quite old. Wears an armband of mithril. The second most powerful, and very common, rank in the Order. Strong magic users in all avenues. Wears an armband of platinum. The most common magic user type, both inside and out of the Order. Of average power. Wears an armband of gold. Weakest of the Order's truly accepted warriors. Have but a thin grasp of a few powerful magics. Wears an armband of silver. Little to no power. Is skilled in clever tricks and minor magics. Rarely accepted into the Order proper. Wears an armband of bronze. One thing the Order specializes in, across all Realms, is the teaching of magically attuned students to come into their abilities with all the proper training. Schools begin training early, with members of the Order often seeking anyone with a reasonable aptitude with magic. Students are quickly brought in for training, living in the school while they train. In addition to being taught magic, both through practice and theory, the students are taught other important details, like history and combat. Most of these schools in magic are found at the Realm's respective Tower, or in a capitol of whatever country the Archmage dwells within. There are several ranks of students in the schools. First years: These students are just people who have been identified as having magical potential. Training at this level is mostly theory, with some effort being given to train students in basic magical skills. Second Years: Students at this level have learned, if not mastered, the most basic skills. This is when identification of an Elemental Affinity are preformed. Students at this level will be taught very few combat spells, as the instructors would not want to teach them these things before they can learn control. Third Years: Students at this level are training in their Affinity. Most of their classes and teaching is focused on this. This is also the point where combat spells will be added into the curriculum, as control is normally assumed by this point. This is the earliest where a ranking member of the Order may come in and take a student as an apprentice. Before this point is considered risky, as the basics would not be fully understood otherwise. Fourth Years and beyond: At this point, students that still wish to train further may choose their own focuses. They may start working on a new element, or a new specialization. There are several more possibilities of what can be done, but at this point, it is up to the student. Student ranks are called years, though that doesn't require that they must finish in one year. A year can be repeated, as many times as needed, until the student reaches the point of being able to reach the next level as far as skill is concerned. These decisions are made by the Order members teaching and supervising the classes, not the students, so that a student that is full of themselves will not go too far beyond their ability. If a student is assigned a master abroad, they may travel and learn as an apprentice away from the school; but such things are left up to the teachers, and the Order's leaders, to approve. A stern and capable leader, and a former knight of Millirand. Darius is the Archmage of the Tower of Godshome, in Felnova, and works alongside the Vystrian Archmage to lead and school the Order members in their Realm. Though he does care quite a bit for his fellow mages, he can often come across as quite cold and uncaring, easily irritated and greatly feared. Inside, he is a deeply scarred individual, with a very heavy past. A master sorceress and beloved of the goddess Scylla, Ghanima is a elderly woman who was granted new life in a child's body. 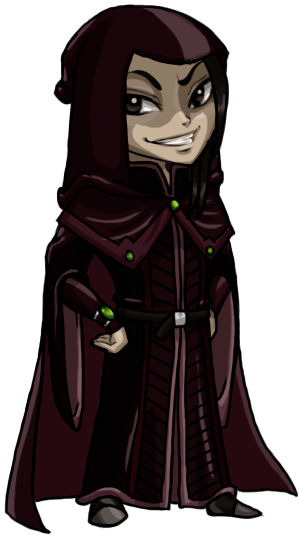 As she grows, she discovers more and more of her spectacular abilities, and will become a master sorceress once more. 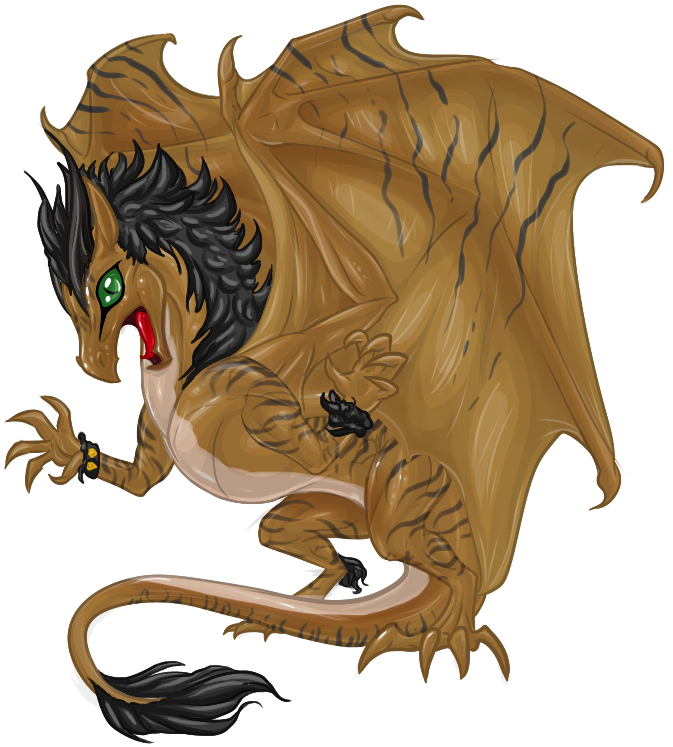 A dragon of great power, Rilian has always preferred to use this power in a more gentle, more subtle way. Interested by cultures and world around him he chose to study at the Tower of Evylon. There he spent years collected books, maps, notes on languages and new magic for the Libraries of the many Mage Towers. This was until he was enchanted into a 3.000 year long sleep from which he has just awoken from. 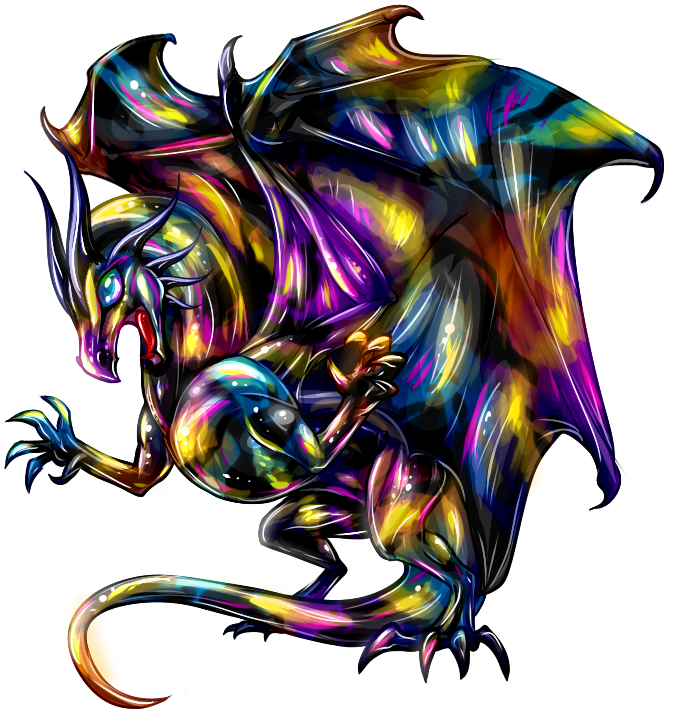 A mysterious and deceptively powerful dragon who's name and past is completely unknown. He only goes by the moniker 'Mage', and will refuse any promotion in rank the Order attempts to give him. 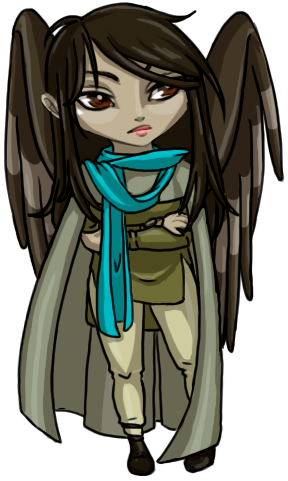 Once, he had a brother named Euphala, much younger than him by many centuries. Naturally gifted with control over the Light Element, Myth, through his own limitations has learnt that power is not all there is to being powerful. 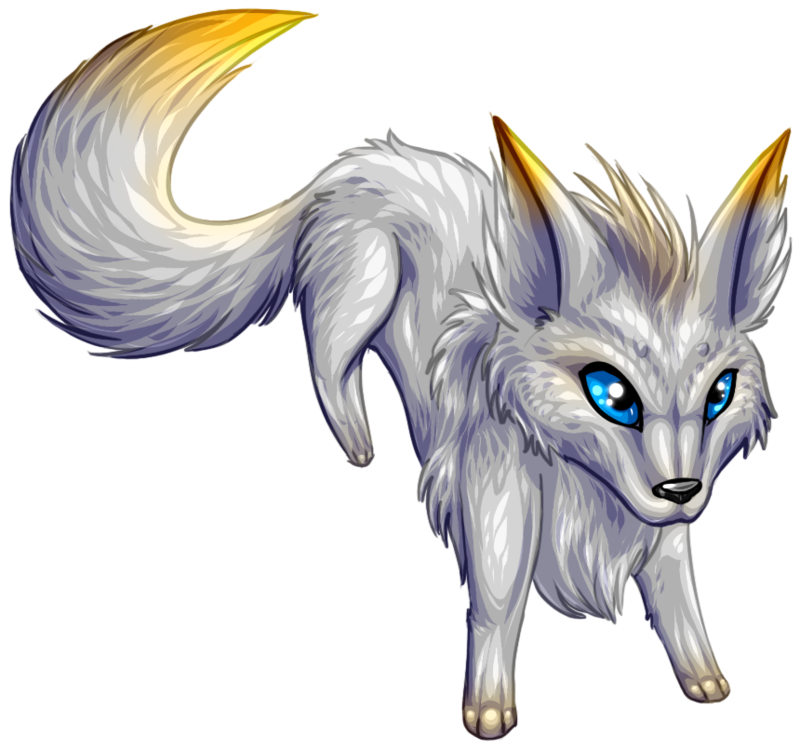 A nice young Direwolf, Myth tries to look on the bright side of life, he is nevertheless down-to-earth and a realist when it comes to the harsher facts of life, magic and the war. A late adolescent circadian dragon whose true dragon form has been sealed away by trauma, as well as significant control over her power. Though she has a great amount of potential, anxiety and panic cause her larger spells to backfire more often than not. She tends to isolate herself for fear of repeating the catastrophe that led to her exile from the Nzani and the death of her mother. The longer she stays up without sleep, the more prone to panic she becomes. Mercurius has been a member of the Order for a few years. He has an affinity for creating intricate illusions and manipulating pure reiatsu for creative purposes. His credentials have earned him the role of consultant, where he specialises in matters relating to illusion and criminal activity. If he's not giving his experienced opinion on topics he's familiar with, he's out in the world as an amateur, as in non-professional, artefact collector. Mercurius is a colourful character that livens up his job by injecting humorous elements into his work; he may include tricks in his explanations to make them more memorable or prank someone to simply prove a point.